Hello all! How was your weekend? I had a lovely one with my brother who was visting from down South for his and my niece’s birthdays. On Saturday night I slobbed about in front of the box watching X Factor, then Sunday was spent baking some yummy cakes and being lazy. We spent last night at my sister’s house for a little get together with a hell of a lot of food and yet more X Factor (Gutted Kelly sent Amelia home. Should have been Sophie!). When we got home, Dan arrived at my house for a few days and brought me a little present in the form of Saintt Germain by MAC! I’ve been after this colour for a while and was going to get it at duty free before we went away but it was out of stock. It was a lovely surprise as I didn’t expect it at all! I’m a huge fan of MAC lipsticks and this doesn’t disappoint. 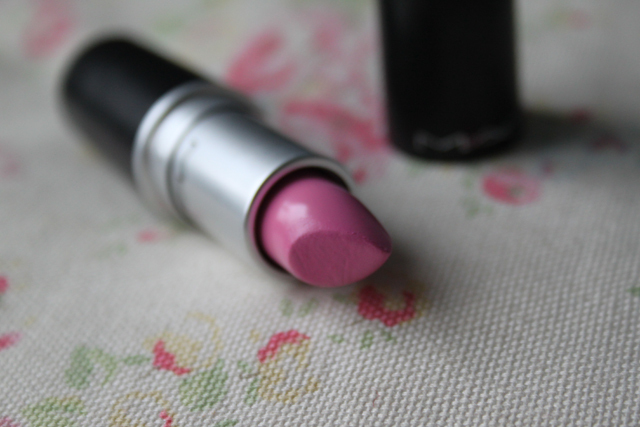 It’s a gorgeous creamy Barbie pink, slightly blue toned, with a lovely smooth finish. Being an Amplified colour, it really stands out and looks striking with a simple face of make up. I think this will become a quick go to for me. The lovely weekend was soon over though, and back to work today. The weather has been disgusting and I’ve been feeling really lethargic and run down at the minute. I always do at this time of year when the weather changes. I start getting sore throats and colds and can feel one coming as we speak. For a chilled out night we decided to order in from Domino’s – yum! They have a new range of Gourmet flavours on their pizza menu. I tried the Rustica (chicken, bacon spinach and plum tomatoes) and it was lovely. Would definitely recommend it! How have you all spent your weekend? Don’t forgot the blog sale is still live. Grab a bargain whilst you can as I will be taking it down this weekend! ooh, this looks lovely! i definitely think i'm a bit too pale to pull off this shade of pink though. 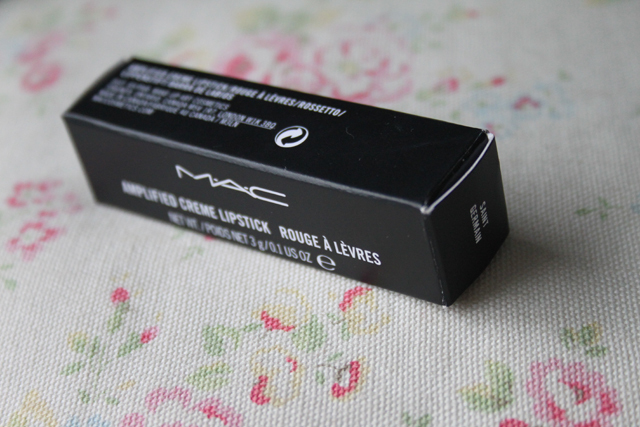 Love mac lipsticks, this looks lush.